Queensland developer Villa World Limited (ASX: VLW) has continued its strong run of profits and flagged continued expansion in its core Queensland and Victorian markets. The Gold Coast-based company reported a statutory net profit after tax of $20.4 million (18.5 cps), compared to a net profit after tax of $13.0 million (13.9 cps) for the period ended 31 December 2014. Profit before tax was $28.5 million. The result was boosted by $3.6 million from the settlement of the second tranche of the sale of its The Eynesbury joint venture share to the Hyde Group. Villa World’s $20.4 million half-year profit after tax result was accompanied by a 49 per cent increase in revenue to $200.2 million, built off the back of its strong Queensland operation and strengthening sales in Victoria. With the company this year celebrating 30 years in business, Managing Director Craig Treasure (pictured) said the FY16 half-year financial result was cause for celebration. 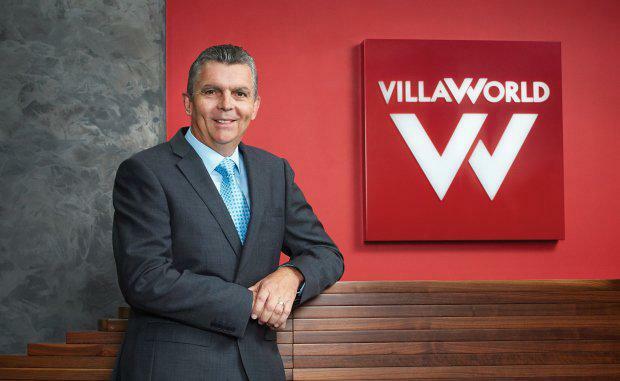 Villa World shareholders will benefit from a growth in first half earnings per share of 33 per cent to 18.5 cents per share (cps), with the company serving up a half-year dividend of 8.0 cps fully franked. The company is targeting a total dividend of at least 18 cps in FY16, representing a 9 per cent yield. Mr Treasure confirmed that the company’s 14 Queensland projects had continued to drive Villa World’s performance, contributing 80 per cent of sales during the half-year and 86% of revenue. Growth in its Victorian operation has added geographic diversity to Villa World's product offering. Mr Treasure flagged that the company was now set to return to the New South Wales market through partnering and joint venture arrangements. The company’s housing operation has lifted production to deliver 385 homes across both Queensland and Victoria, up 45 per cent on the 266 homes delivered in 1H15. The company recorded 497 sales during 1H16 (1H15: 352) across 19 projects (1H15: 18 projects). Sales have risen from an average of 59 per month in 1H15, to 83 per month in 1H16. "Seven projects will be released in FY16 and are expected to contribute to robust sales volumes in 2H16," Villa World said in a statement. "Sales were heavily weighted to Queensland (80 per cent of sales) reflecting continuing supportive market conditions and increased numbers of projects being marketed." "Particularly strong performance was recorded from projects located in Brisbane’s bayside and north. Victorian projects accounted for 20 per cent of sales, with a strong performance from the affordable land only project Cardinia Views, as well as a good market response to the Company’s turnkey house and land offering at Lavinia and Sienna. This follows the Company’s first Victorian display home opening in November 2015." The company said it will continue to execute on its acquisition strategy of replenishing Queensland whilst diversifying into the east-coast states. In the year to date, the company has acquired 1,586 lots. This includes the acquisition of three sizeable projects in South East Queensland, which will provide product continuity for four to six years, as the successful Park Vista and Mt Cotton projects near completion. Villa World has flagged its intentions to continue growing its presence in Victoria while entering the NSW market through partnering and joint ventures. The company holds a portfolio of 5,869 lots, representing approximately 5 - 6 years of sales. During 1H16 the Company entered into a joint venture for the land component of the Rochedale development with the Ausin Group. The joint venture will free up a significant amount of capital for the company to recycle into other projects while participating in profits on the land component of the development as well as generating commencement fees and development management fees. In the second half the company’s operational focus will remain on delivering and settling carried forward sales and releasing new projects to meet projected demand. "Positive underlying market fundamentals continue in the Company’s key markets of South East Queensland and Melbourne," the company said. "With an increased number of projects delivering sales throughout the year, the Company reaffirms its sales target of 1,000 - 1,200 lots during FY16. "The company has a continued commitment and capacity to acquire land across and within the east coast markets. The focus will remain on the continued replenishment of the portfolio in South East Queensland, growing the Victorian land bank with a focus on the South Eastern and Northern growth corridors of Melbourne, and entry into New South Wales. Projects with 3 to 5 year durations will be targeted, as well as appropriately structured larger projects. Assuming general consumer confidence is maintained, interest rates remain low and first home buyer grants remain in place, the company is targeting statutory profit before tax of $46.6 million in FY16, representing a 59 per cent growth on the FY15 statutory profit before tax of $29.4 million.